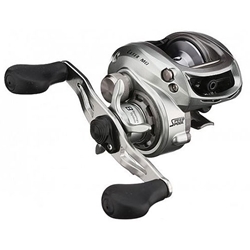 The Lew's Laser MG Series is the perfect all around great and affordable reel for any angler! Lew’s officials know that not every angler wants to invest in a top-of-the-line model right at the start, so they have introduced the brand new Lew's Laser® MG Speed Spool baitcaster as a workhorse model for any budget. It's important to know that the Laser MG is manufactured in the same factory as all Lew's reels and incorporates the same features, quality and engineering that are built into all Speed models.